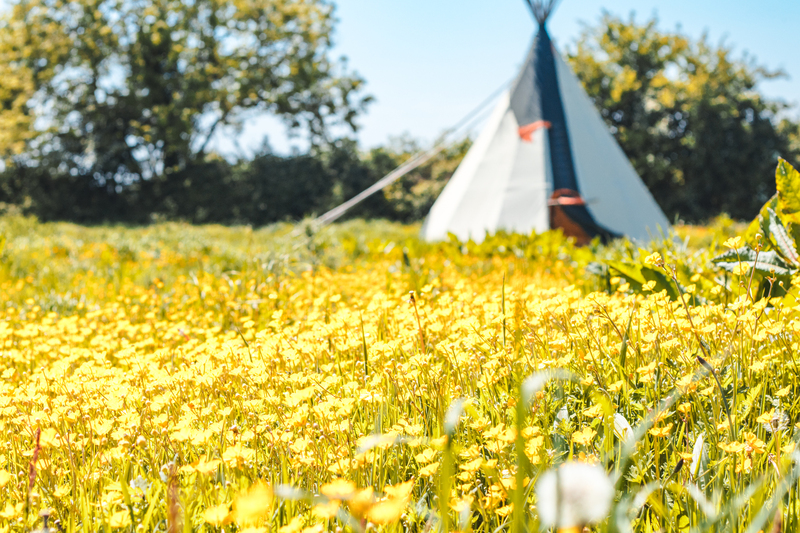 Our beautiful tipis are made from canvas wrapped around Douglas Fir poles and held in place by jute rope and cleft ash pegs. When inside, the whole effect is simply magical. The gentle flap of the canvas and the soft creak of the poles has been likened to the sound of the sails on a traditional wooden sailing boat! 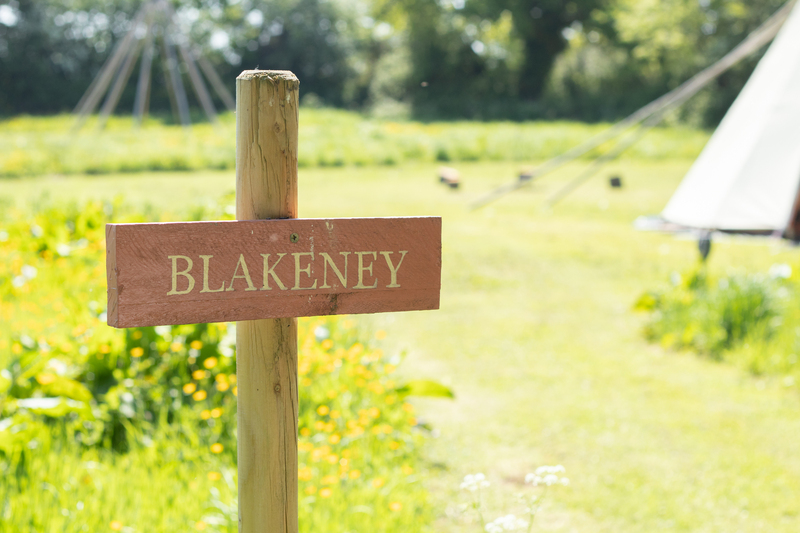 At night you will be lulled to sleep by a chorus of Tawny and Barn Owls and possibly a visit from one of our friendly cats! 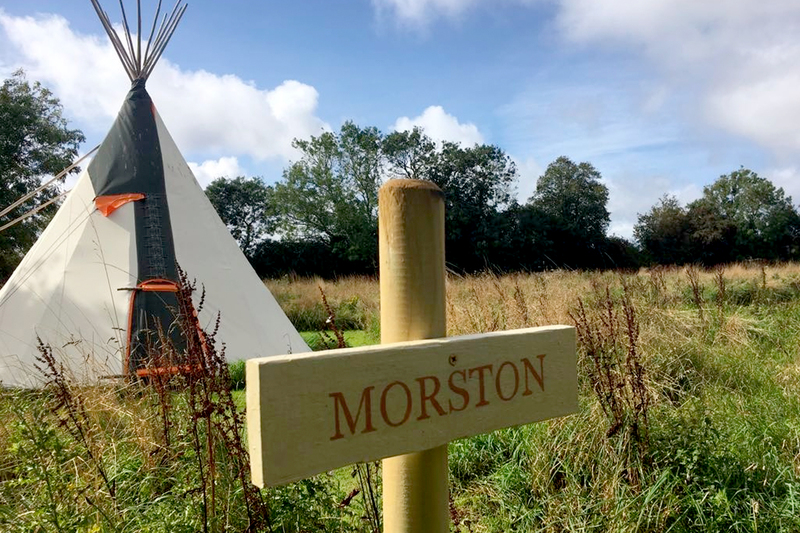 Two tipis have comfortable double beds and two have two very comfy singles (that can be made into a double or remain as singles depending on your requirements) and they all have handmade woodburning stoves for heating. We provide all the bedding, with crisp white sheets and cosy duvets so there is no need to bring any bedding with you. • 1 double bed (or 2 singles) please request on booking. • Bucket and sponge and dustpan and brush to help you keep your space tidy! We have two attractive off-grid toilet and shower cabins. Inside each, there is a pleasure to use composting toilet, sink and shower and in the gents cabin, there is also a waterless urinal. As the site is off the grid and based on ecological principals we would ask for people to follow any directions on how to use the facilities and to be thoughtful with the use of water. The cabins are serviced and cleaned regularly during the day. 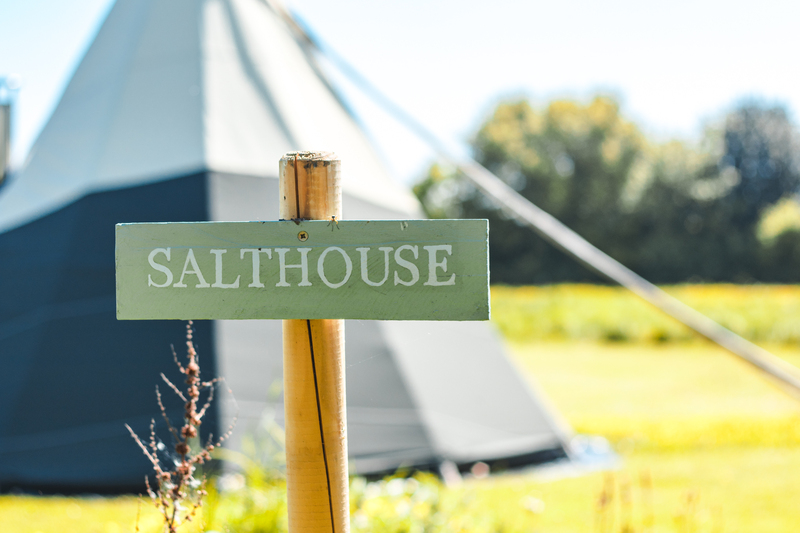 We have a field kitchen and washing up area where there are communal cooking and washing facilities protected from the elements. 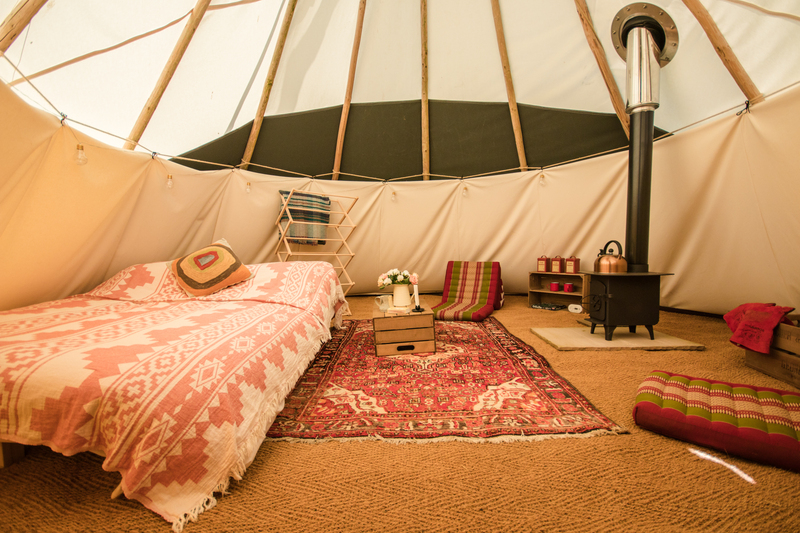 Inside there are gas stoves, cooking utensils, plates, bowls and cutlery, a sink and taps and cool boxes for each tipi’s personal use. Outside there is a communal firepit. The whole set up is rustic and characterful but efficient. Please note this is not glamping (! ), we are providing a bush camp experience. Please be aware that it gets very dark at night and torches are an absolute must. Warm clothes, waterproofs, and normal outdoor kit and a good book are essential too. Please bring towels as we do not provide these. 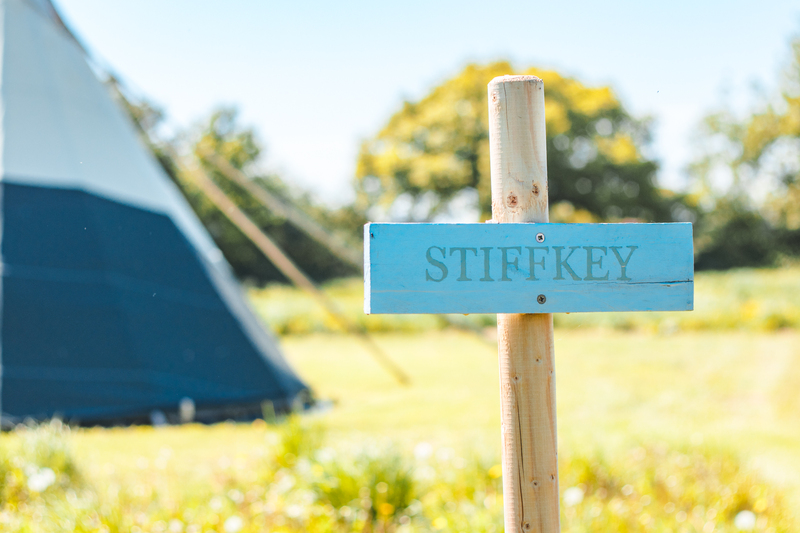 Each Tipi can accommodate up to 2 people and is named after a favourite place to visit along the North Norfolk Coast. We have Salthouse, Blakeney, Morston and Stiffkey. Please contact us if you wish to hire the whole Lodge for retreats and we can discuss the price and your needs. We are delighted to offer breakfast and/ or simple, wholesome evening meals on request. Very happy to discuss upon arrival. Checking out time by 11am please. be instructions and please don’t hesitate to call/ email if you need to arrange any other time.